There are lots of hobbies and professions that need to deal with lots of small parts. Examples that come to my mind include if your kids play with toys with lots of small parts (such as Polly Pockets or Legos), of if you are an avid crafter or beader. 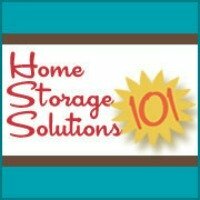 In addition, you may like to tinker in the garage or shop and keep lots of small screws, nails, nuts, bolts and other small objects close at hand. No matter what type of activity you engage in, you quickly find that keeping track of all those small pieces and parts, and quickly getting to what you want or need can be frustrating without some organization system in place. 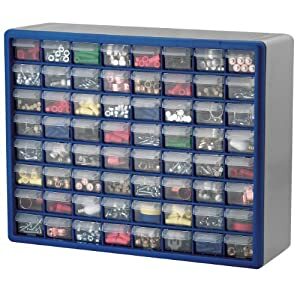 Fortunately, these multi-drawer storage cabinets really help with organizing your small parts to keep everything within easy and quick reach. You may want to get one for several areas of your home, wherever you keep lots of small parts.